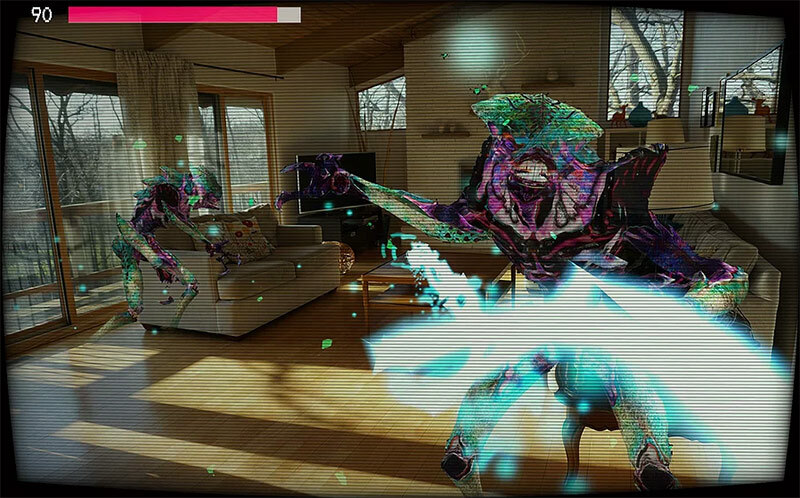 PHANTOGEIST is an augmented reality first-person shooter that invades your real world. 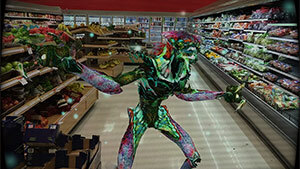 You need to fight Phantom-like alien creatures everywhere you go. The game features two game modes, a Story mode campaign and a Survival mode (how long can you last). The game also comes with a Social AR multiplayer mode in which you and your friend who play locally can see the same creatures in the area and see each other fighting them in mixed reality. PHANTOGEIST is an Google Tango Augmented Reality first-person shooter in which you fight against alien creatures that that invades your real world and want to take over the planet. You are the only one who can stop them from achieving their vicious plans. The alien creatures are all around you. Use the phone as a radar to locate the aliens in your current location and tap on the screen to fire a laser beam. Once they aliens are located, you need to clear a wave of enemy's in order to progress. The enemies can come from inside your area or through walls and you need to follow the radar and aim at that location and shoot them immediately before they able to attack you. Phantogeist plays like a first-person shooter. You have the aim assist in the middle of the screen so you actually use your Tango phone like a weapon, aiming with the center market and tapping to release a powerful laser beam to kill the aliens. At the top of the screen, you can see a red bar that shows your current health. The great thing about Phantogeist is how it uses this new AR medium creates tension. The aliens can appear gradually from nowhere, transitioning from completely transparent and become more visible and you need to aim at the correct location based on the red dots on the radar that shows their movement and location. Bigger aliens, those who are harder to kill, are shown as large red dots, whether the smaller ones shown as smaller red dots. Bosses are shown as the largest dots take much more time to kill. This way you can prioritize your shooting based on the degree of threat and maybe shoot the bigger alien first because he deals more damage and takes more shots to take out. Phantogeist also features a cooperative mode, which allows you to assist your friend who is playing the game. You can see the same radar, score, and his health and the great thing about this mode is that you can actually record him playing in mixed reality. You can then share the footage with your friend and show him how he looked when fighting against those aliens - super cool stuff! When you start playing, there will be an alien that will assist you in your journey. He appreciates human's culture and wants to assist you in saving your world. Phantogeist is really among one of the first shooters that made it to Google Tango and certainly one of the most impressive AR games at the moment. As of the time of writing, the game only works with the Lenovo Phab 2 Pro but will be compatible with future Tango phones as they become available. The game might remind people of the game Pokemon Go, but obviously, this one is taken full use of AR technology, where characters react to the physical environment and it's an action game where you need to shoot down creatures so it's very much different in that sense. Players can play anywhere they go. The gameplay area isn't confined to any particular place. You can play in an ally, in the supermarket, and in your own room, the game will be there no matter where you are. The game has two modes, a campaign story mode where you fight waves of creatures and unveil were from and why those aliens came to the world, and a Survival mode, in which you need to survive as long as possible. 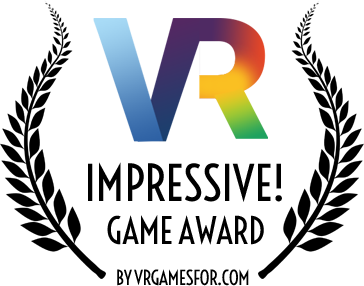 We can clearly see that the developer Trixi Studios really took this project seriously and wanted to create a very polish game that will deliver an immersive AR experience and showcase the huge potential of this evolving technology. In my opinion, they have certainly succeeded. They no doubt will be remembered as one of the pioneers in that and hopefully, this will be a good start for more great things to come from Trixi.If you have a Google Tango-enabled device like the Lenovo Phan 2 Pro and if you love shooters, you definitely need to have this game—Highly recommended!